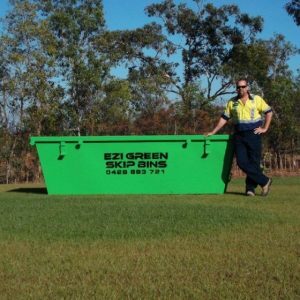 First 1200kg are included, excess weight charges will apply at current Darwin City Council rates. Price includes standard 4 day hire, for Darwin & Palmerston only. Please call for rural prices and availability. 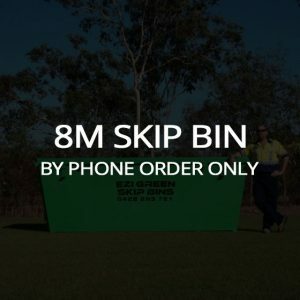 Bins with doors available on request. The bin will be collected on or after this date. Note that if the date for collection is on a Sunday, then it will be collected on Monday. 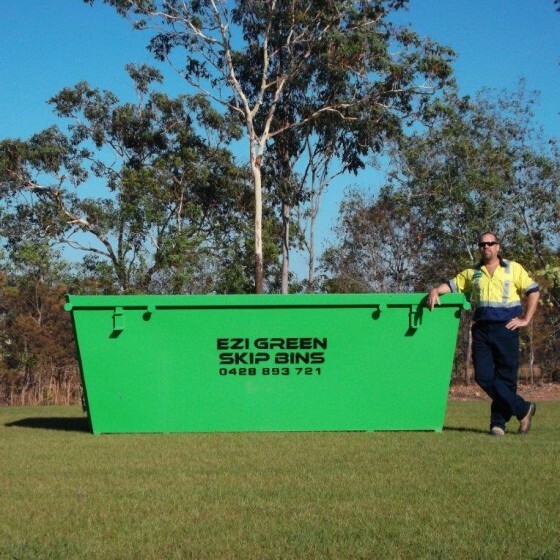 The 6 Cubic Meter Skip Bin is your perfect solution to cleaning up Large areas. Overfill the skip bin, so that they can spill out, or be blown onto the adjacent area, or cause nuisance to pedestrians or other road users. 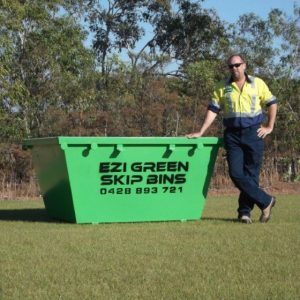 To sustain the above quoted highly competitive prices, we rely on the cooperation of our customers to follow the waste type guidelines and only place the allowable items into bins.Should the customer add other items, which are not allowed into the bin selected, then the bin becomes a mixed waste bin, which will require sorting and will therefore be chargeable at $25 (incl. GST) additional charge per cubic meter.